Leicester-based business solutions provider organisation, Action Deafness, is proud to announce Josette Simon OBE as its new patron. Josette joins our two other patrons, politicians Keith Vaz MP and Andrew Bridgen MP. 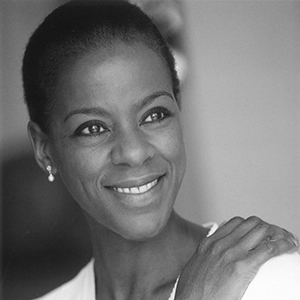 Josette is a Leicester-born, acclaimed Shakespearian with the Royal Shakespeare Company and the Royal National Theatre. She has won all the major Best Actress theatre awards and also several film awards. She has appeared in such acclaimed films as Richard Attenborough’s Cry Freedom and the more recent Red Lights with Robert De Niro and Sigourney Weaver. She has worked extensively in TV, including Law and Order UK, Lewis, Silent Witness, Spooks and the BBC’s New Tricks, in which she played the role of an audiologist, fluent in British Sign Language. She has been awarded an honorary MA from the University of Leicester and in 2000 she was awarded an OBE in the Queen’s Birthday Honours List, both for services to drama. Action Deafness, with its historical origins dating back to 1897, has recently been restructured as a charitable company. As well as running its flagship services, Action Deafness also coordinates the Lottery-funded Hear Now Forward project for people with a hearing loss from BME communities. It provides Deaf awareness workshops via corporate engagements and accredited BSL training courses at Levels 1,2 and 3 and also delivers work-based audit assessments to organisations across the UK. More recently Action Deafness produced its Impact Report which evidenced well over 3,000 people being catered for and receiving essential services from Action Deafness, not only in Leicester but all over the UK. This year, one of Action Deafness’ flagship services, AD Community, will launch a new accreditation and open the first of its new services in the UK. Josette’s recent appointment also coincides the new and revamped version of Action Deafness website.